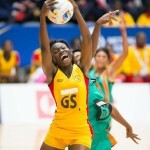 She Cranes netball team is not pleased at the moment with the existing training sessions ahead of the Netball World cup which due in August this year. She Cranes moved an appeal to the National council for sports, (the Sports governing body in Uganda) to help them secure improved training facilities. The players refused to use Nakivubo training grounds and were later moved to Namboole stadium but according to Atino Suzan, one of the players, the change was irrelevant. Atino says that Lugogo indoor stadium would be a better training facility for the forthcoming 14th Netball World cup to beheld between 7-16 August in Sydney Australia. “The state of facilities we use for training is for poor for example, Nakivubo is sub-standard at the moment compared to what we are going to use at World cup. So I argue the National council of sports to allow the team train from Lugogo since what we are doing is for our good” said Suzan. 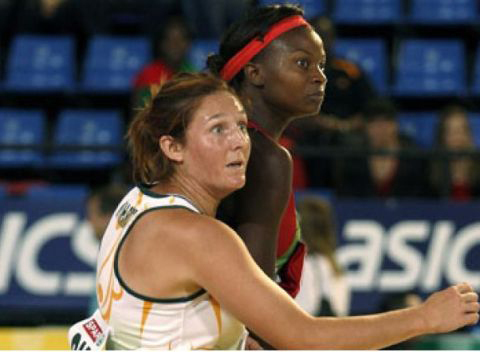 She Cranes team qualified for the Netball World cup after crushing Swaziland 51-38 in the Netball world cup qualifiers for Africa in Gabon, Botswana September last year. The team which is financially constrained began with a win over Zambia then saw off Botswana, to qualify for World cup is scheduled to have trial games in South Africa and United States.